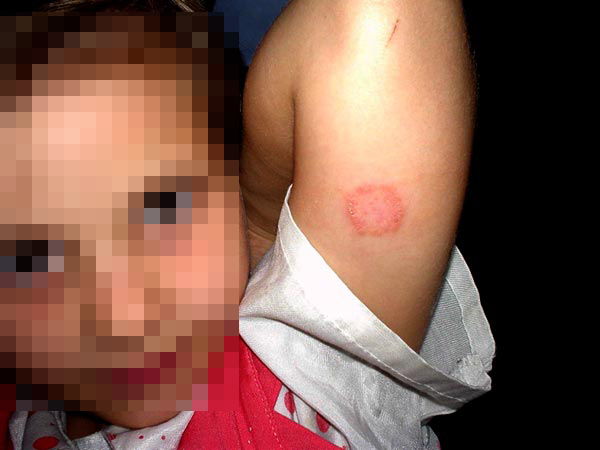 Get ready to say, “Ewwwww….” Ringworm is making a big comeback in urban elementary schools. Worse yet, this new and improved fungal infection is treatment-resistant. Eeeewwwww! According to a recent study that looked at 10,514 children in kindergarten through Grade 5 at 44 schools across the bi-state Kansas City metropolitan area, 6.6% of them were infected with the fungus (T. tonsurans) that causes ringworm. Researchers also found that the oral antifungal medicine used to treat ringworm does not completely eliminate the fungus in many children, which means they can spread the infection to others even after treatment. The fungus seems to have racial preferences. More than 18% of black children in kindergarten and the first grade were infected. That rate dropped to 7% by fifth grade. Infection rates were 1.6% for Hispanic children and 1.1% for white children. The reasons for the higher rate among black children aren’t clear. May I repeat, “Yuck!” If your child is in elementary school in an urban area, keep on the lookout. Kids are passing this funk between each other like wildfire. 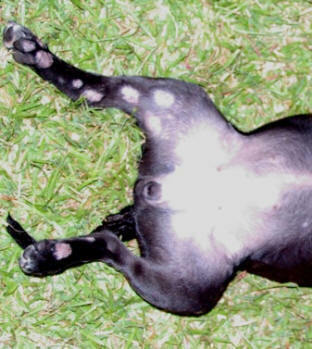 They can also get ringworm from pets, so check your critters often, and get them treated if you see a problem. 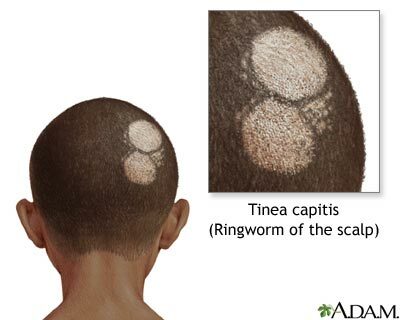 Ringworm can cause permanent hair loss, so rapid treatment is of the utmost importance. Yes, this new, improved ringworm is resilient; just keep hitting it like Manny Pacquiao–bing, bang, boom! Don’t give that fungus a chance to breathe. Oh yeah, and keep your kid away from my kids.